If you're in a bind to find an inexpensive Microphone Windscreen a.k.a. DeadCat, here's a quick tip shared by YouTube member krotoflik. 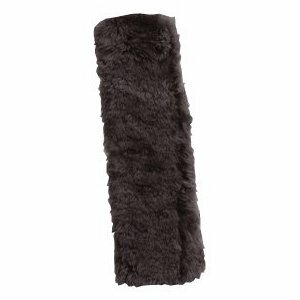 Try grabbing yourself a padded furry (or wooly) seatbelt cover. There's a short sample with and without the Seatbelt cover on the microphone, and it does a decent job of eliminating that dreaded wind rumbling noise. Posted in DIY Equipment, DSLR Audio, Equipment Reviews. 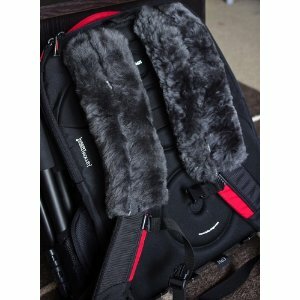 Tags: diy windscreen, Padded seatbelt cover, Seatbelt Pad, sheepskin cover on December 31, 2011 by Emm. Check out: http://www.micover.com. I have purchased covers for my Rode microphones from them. Great customer service and prices A LOT lower than the OEM covers. Oh, and you get a little comb if you want to slap some gel in your hair and slick it back like a 50s greaser. I *think* that's what the comb is for, right? In case anyone wants to see that review of the windcut just search this site, Emm posted it a while back. Not overly impressed with those results but it's an improvement. Now I use the Windcut one that I reviewed some months ago and the results are just perfect. Costs a little more than DIY solutions but worth it for professional use. About £15 shipped. @Frank, yes, I've seen that site, they look very good! I'm in the UK though so it's good that the Windcut is based here. @Krotoflik, try closing that hole in the front! I found that with my DIY ones that was the most problematic place. Their stuff is great and less expensive than leading brands. I suppose if you already have these items this could save you in a pickle.